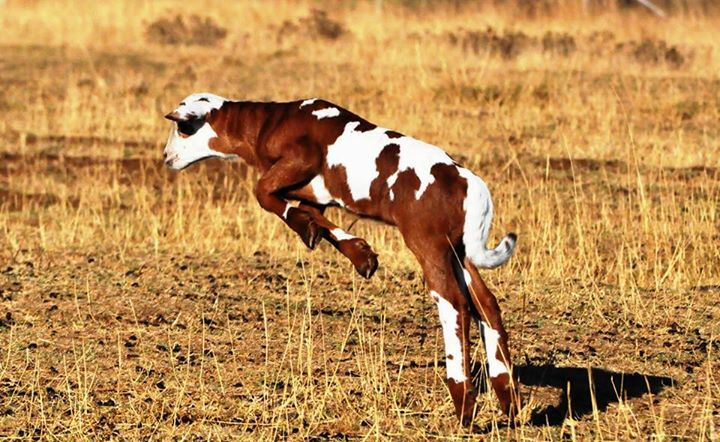 The Damara sheep must be a functional, efficient animal. 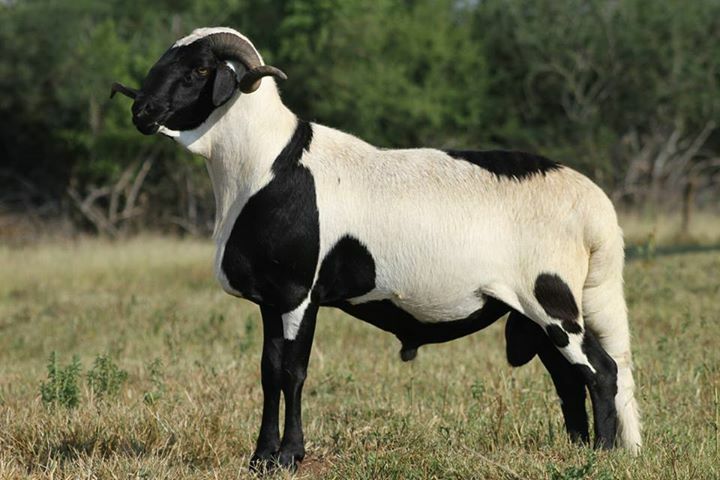 The ewes must appear delicate and feminine, whereas the rams should appear lively and masculine. 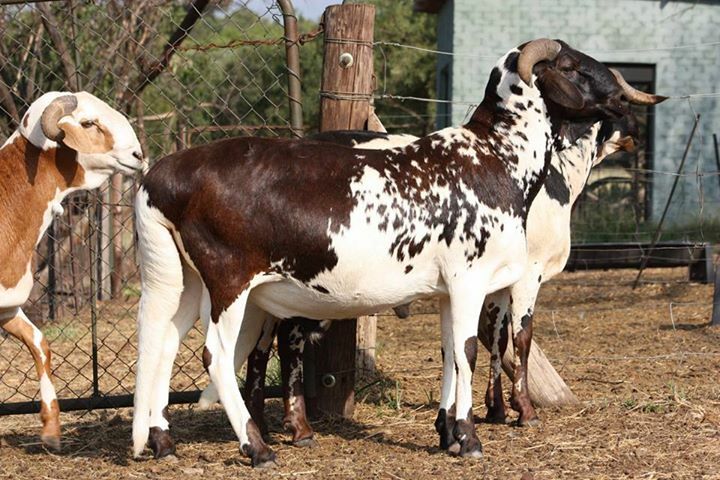 • The Damara sheep were bred under harsh conditions and can survive under very poor nutritional conditions. 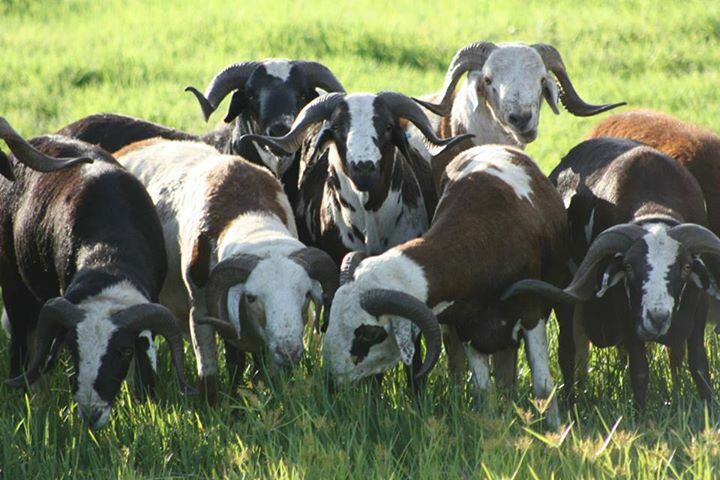 Therefore, it is possible to farm with Damara sheep where water, grazing and shelter are fairly restricted. 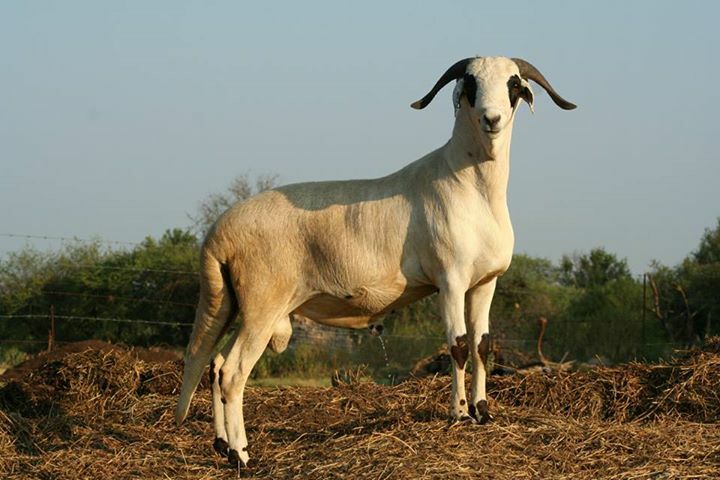 • The Damara sheep has a fairly high tolerance against most sheep diseases as well as against internal parasites. 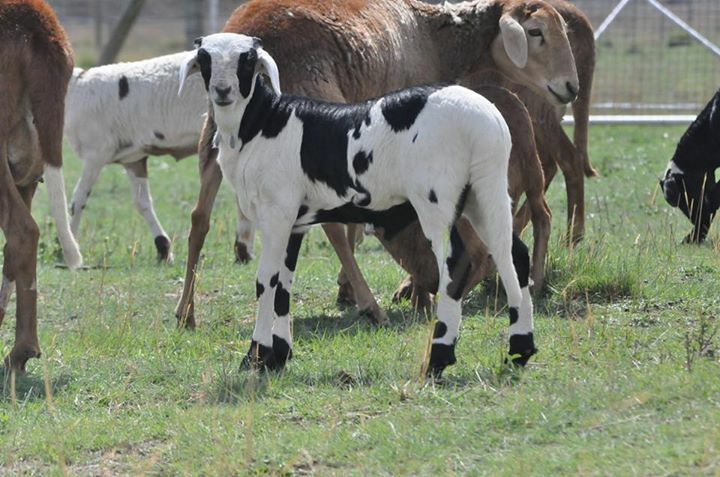 • The Damara sheep can cover vast distances with ease, which also contributes to its profitability. 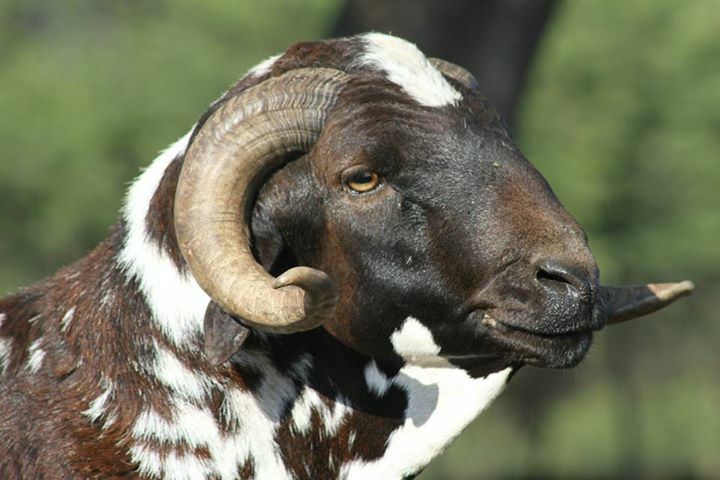 The meat of the Damara sheep is juicy, tasty, flavoursome and not mottled with fat. External fat is mainly located in the tail. 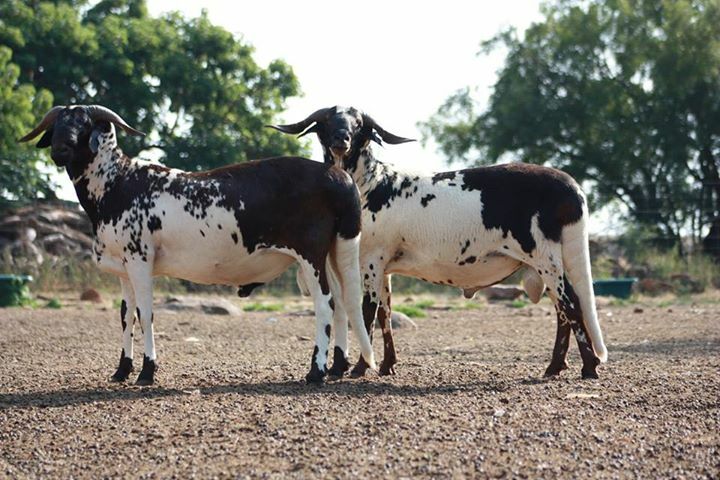 • The Damara sheep has a varied diet. It feeds on grass, bush and shrubs. 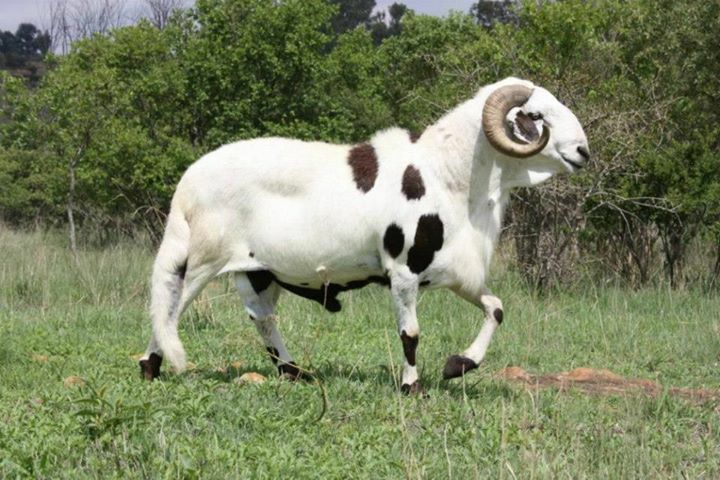 • Generally speaking the Damara sheep is an animal which adapts readily to the conditions in which it finds itself. It can tolerate a great deal of stress under unfavourable natural conditions. Long tail, which gradually tapers down to a thin end – very much like that of an Antbear. 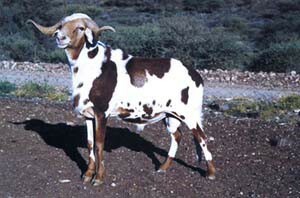 Has a short comfortable gait; The tail, ears, and skin are very mobile; Lively appearance; Teeth hard and strong; It happens that two front teeth of young sheep as well as those which have shed their milk teeth are large; Strong flocking instincts Long productive lifetime; Strong mothering ability and very fertile. Nose long and strong, inclined to be slightly Roman in females and prominently Roman in rams. Eyes large and bright; brownish in colour; well developed eyebrow-ridges and mobile eye-lids. 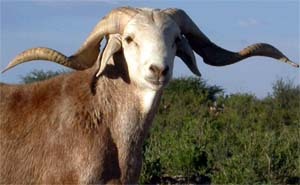 The Damara sheep is predominantly a horned sheep; polls do occur, though more in ewes than in rams. 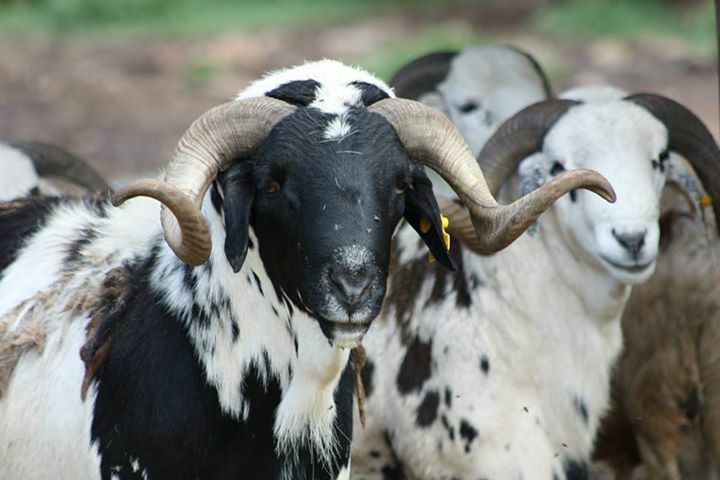 The rams have well developed spiral horns which stand well away from the head. Behind the head is a well developed cushion. 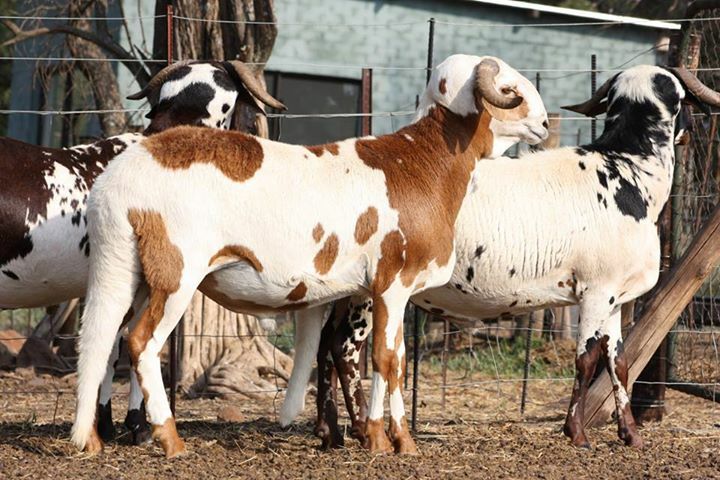 Rams show this development more than ewes. Ears are reasonably large and mobile. Bells under the throat are permissible. 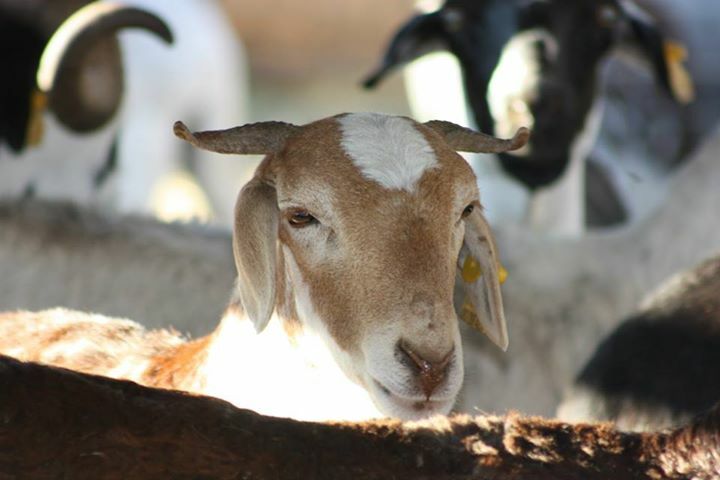 Ewes have a small dewlap from the rear jaw to the throat. 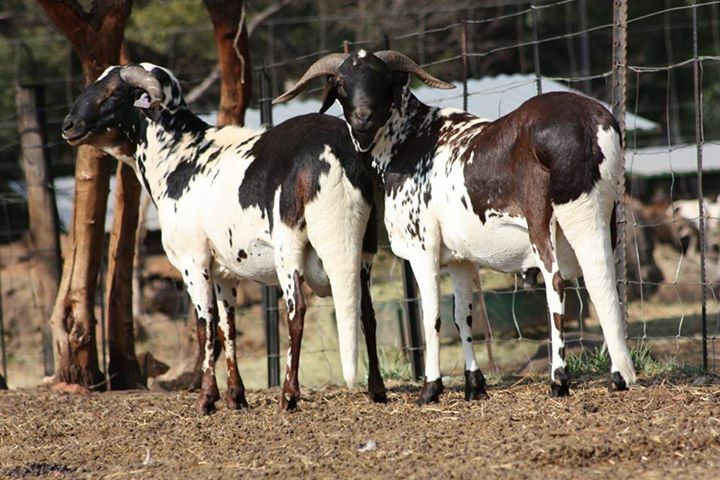 Rams often have dewlaps right down to brisket. 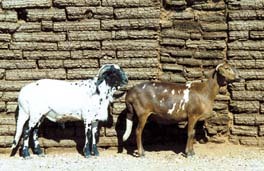 The Damara sheep is a fairly large, symmetrically built sheep. The body is long, oval and fairly deep; The top line over the head is concave drops down in the neck hollow, rises above the shoulder point, descends towards the centre of the back and rises over well developed loins, with a goose-rump. The legs are long and dry, but strong and well placed, having strong well shaped hooves. The hamstrings are well developed. The sheep should not be straight in the heel. The pastern-joint is fairly long, sloping and springy. Except for the rump and tail, there should be no visible lumps of fat. 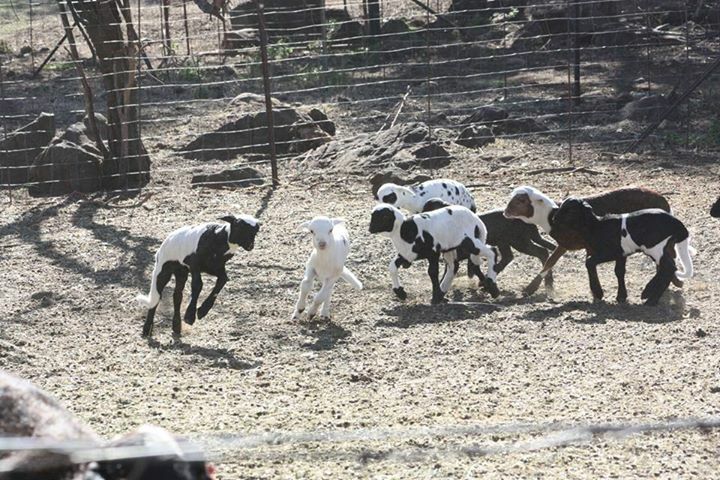 Colour varies from white, brown, black and white roan, spotted, doberman and even black. There are no restrictions about colour, except that some dark pigmentation is essential. The hair is mostly short. There is a tendency for a fine layer of woolliness to form under the hair during the winter. 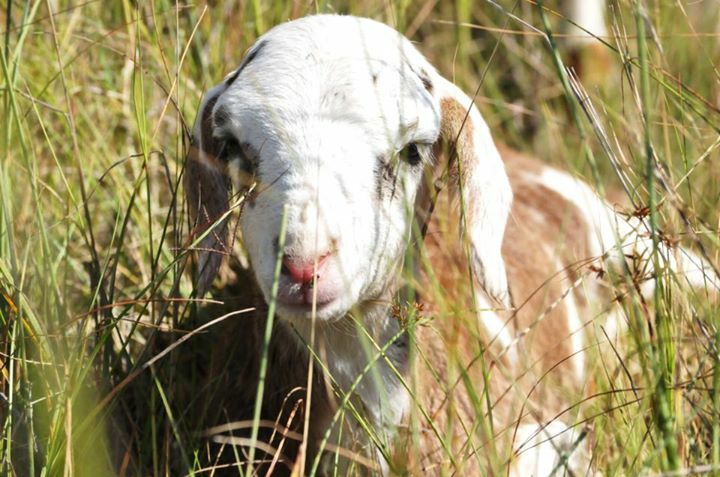 Young sheep have longish hair with more woolliness. They shed this when they get older. Glossy hair is the desired type. The hide should be loose and mobile. 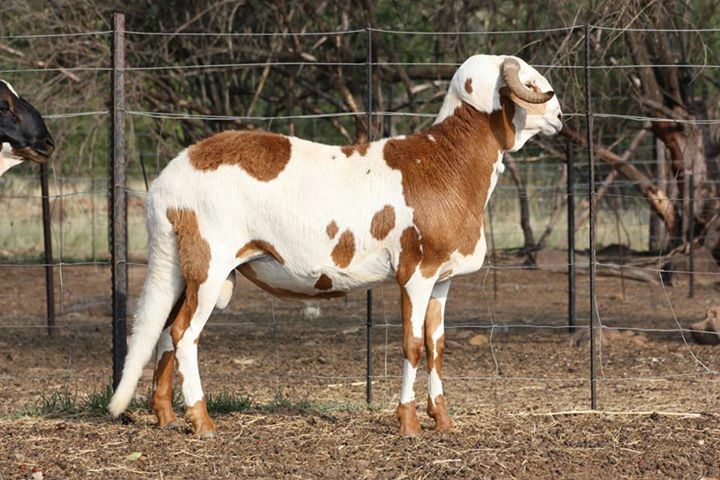 Rams often have long hair at the bottom of the neck up to the brisket, which stand up straight. The tail is wedge-shaped, narrow and long, stretching to below the hock. 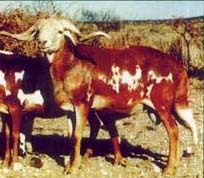 With the rams, the tail is heavier and broader, tapering down along the hind legs. A slight kink of bends is permissible, though discriminated against. A twist, a bad bend and a tail which is twisted such that bare shin shows, are disqualifications. 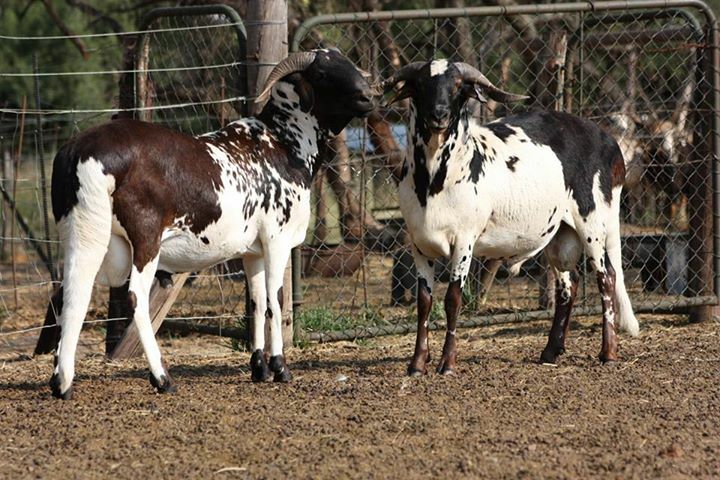 The breed is known for its high fertility, rapid growing ability and strong mother instincts. 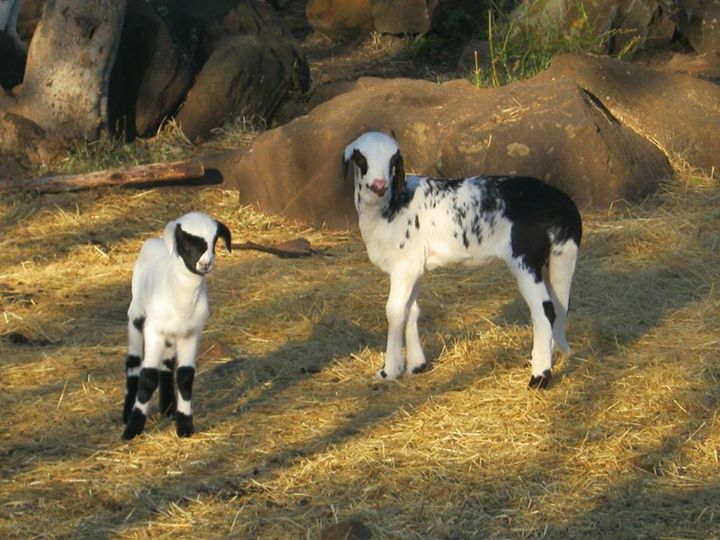 Twins do occur and their mothers are capable of rearing them. 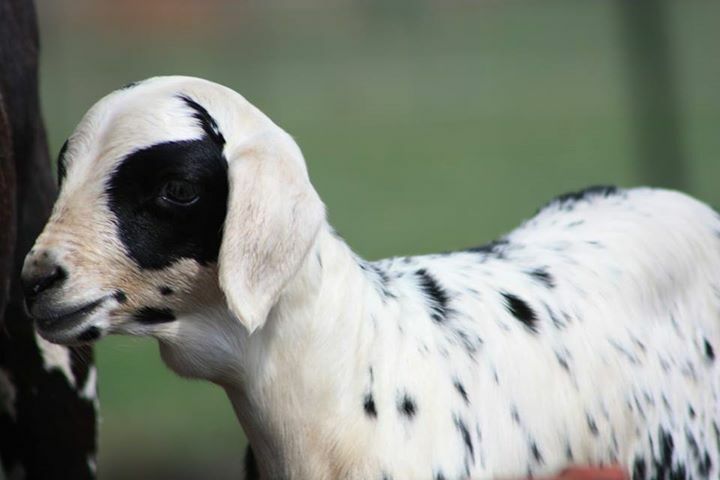 The breed is sexually mature at an early age and by selection this can be improved upon. 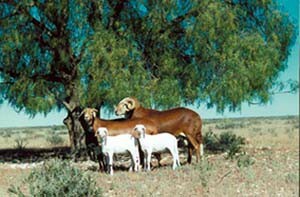 Ewes can give birth at any time of the year. 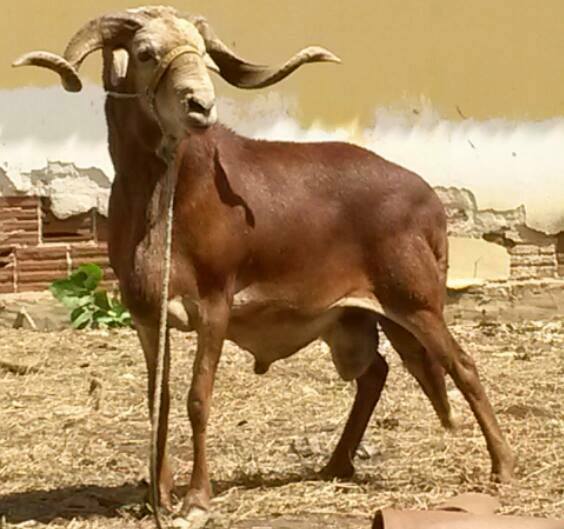 Normal, well developed testicles in one short scrotum are essential in rams. The ewe must have a well developed udder with two teats. Unevenness in the tail called cheeks; Longer woolly hair in grown sheep. Weak cushion behind head. Absence of cushion behind head.